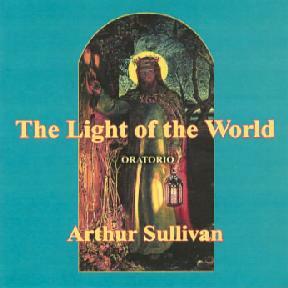 Arthur Sullivan's "The Light of the World"
The Art-Music Forum > Forum > Little-known music of all eras > New recordings > Arthur Sullivan's "The Light of the World"
I would urge members to support this splendid new recording on the Dutton Epoch Label, a major choral work by Sullivan (1873) equidistant between Mendelssohn's "Elijah" and Elgar's "The Dream of Gerontius". On a large canvas, it tells the story of Christ from an essentially human point of view and is quite revolutionary in treating him as a dramatic character rather than using a narrator-led format as was customary at the time. The performance and presentation by Dutton are superb and show the dramatic qualities which point the way to Sullivan's other fine works, "The Martyr of Antioch" (1880) and "The Golden Legend" (1886). Soloists, childrens' choir, the BBC Symphony Chorus and BBC Concert Orchestra are guided by the masterful hand of Sullivan-enthusiast John Andrews: recordings of "Haddon Hall" (1892) and "The Martyr of Antioch" are already planned partly thanks to a generous bequest to the Sullivan Society. There was a very positive (if brief) review on "Record Review" (Radio 3) today... Buy, buy, buy! Re: Arthur Sullivan's "The Light of the World"
Thank you very much for this glowing recommendation, John! I confess that I had not bought the Sullivan and had actually forgotten that Dutton had released it. I shall certainly buy it in the New Year. Can I also say how great it is to hear from you again on this forum. We have talked privately and I assured you that when you felt able to return you would be welcomed back most warmly. So let me be the first to do just that!! Thanks, Colin, that is really kind and I have missed the intelligent interaction with fellow enthusiasts! should now consign it to serving as a coaster for their Christmas egg-nog or mulled wine. I used to play it to friends after several bottles and mirth-based incontinence inevitably resulted as whole sections were ineptly edited out where there had obviously been some spectacular choral collapse... and the recording sounded as though it was made at the bottom of the local municipal swimming-bath. Hear, hear! Welcome back, John - most heartily. Thanks, Gareth, that's very kind of you, glad to know that musical friends are still out there in the ether. Please could you update us in the Holbrooke thread on the third much-anticipated CPO cd? It would be splendid to have all these big choral works on disc, not forgetting those by Sir Hubert Parry and, later, by Sir Arthur Bliss. The problem is that it would be incredibly expensive and therefore, realistically..........? This has been probably the most important release for me since the Elgar/Payne third symphony (seriously). I bought the score of LOTW in 1990 and have been waiting decades for it. I was most worried that it would be a disappointment, but it is even better than I hoped. Dutton have been releasing less lately, but nevetherless 2018 was an impressive year: The Mountebanks, the early Stanford concertos, Cleopatra and LOTW. All magnificent rediscoveries and all beautifully recorded. I wish labels could feature in the New Year honors list. I very much look forward to the Martyr too. I have to say I prefer both these works to the Golden Legend, which was always the work people said was Sullivan's finest non-operatic. There are marvelous moments in GL, but I don't find myself listening to it over and over, and I find the story a bit feeble. Parts 4 onwards I can do without pretty much, and the epilogue is, to my mind, much more conventional than the endings of either Light of the World or Martyr of Antioch (which ends really gloriously, even in the recording we have to use at the moment). As I listened to "The Light of the World" again the more convinced I am that the work is a masterpiece! And what a glorious final chorus. Utter heresy I know....but I wish Sullivan had written fewer operettas and more of this sort of music. Colin I'm so glad to hear you say so, and yes, I wish he had pursued this further.